Healthy Planet was founded in the United Kingdom by Shaylesh Patel in 2007, focused on conservation protection. Around the same time in the United States, Bryan Jersky jumped into what is now known as the Obesity Epidemic. The more Bryan cooked, the more he learned about what he was eating, and the scarier our food system became. After devouring research, going to conferences and peppering experts with questions, it became quite apparent to Bryan how broken our food system is, from questionable ingredients to unbalanced farm subsidies to mysterious GMO’s to obesity. He knew right away that something needed to be done, or rather, that he needed to do something. Bryan became involved in food policy in San Diego, and shortly thereafter, moved to London with his wife, where they soon fell in love with the food culture of Europe; though it’s not perfect, people seem to have a much healthier relationship with food. Bryan dove into the food system, working in London at city farms and food advocacy organizations, like Slow Food and Sustain. In 2010, he was hired at Healthy Planet UK — it was the best of both worlds — it ran like a business, but had the warmth of a nonprofit. 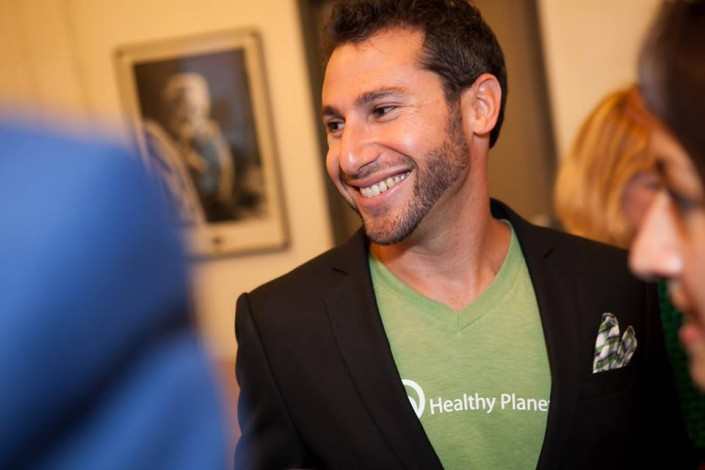 As Head of Operations, he coordinated all of the programs and helped build Healthy Planet into a national organization. When Bryan moved back to the U.S., he combined his knowledge from the social enterprise, experience on farms, and the relationships he had built. Shortly before returning to the States, Healthy Planet asked if Bryan wanted to start a spin-off in California. He graciously accepted on one main condition – that the US focus would be on improving the food system. As a result, Healthy Planet Foundation USA was born in May 2012 with the goal of inspiring a new generation of conscious eaters.